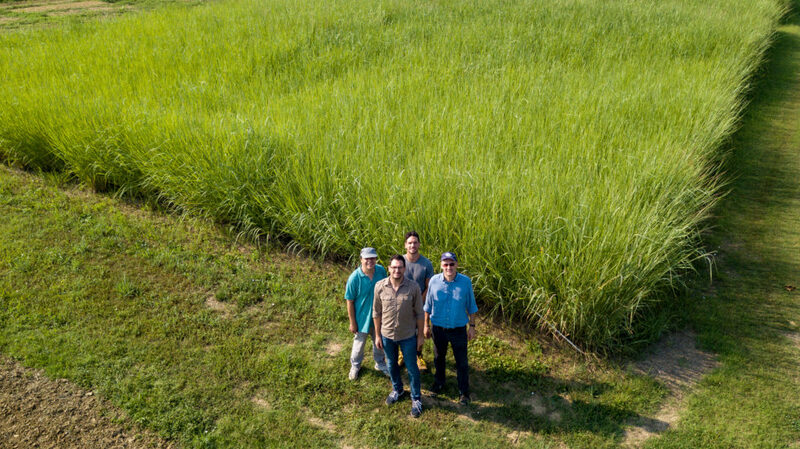 Caught by the drone: Andrea Monti, Walter Zegada Lizarazu, Andrea Parenti of the University of Bologna and Maurizio Cocchi, ETA Florence, chatting in front of the switchgrass field at Cadriano farm. 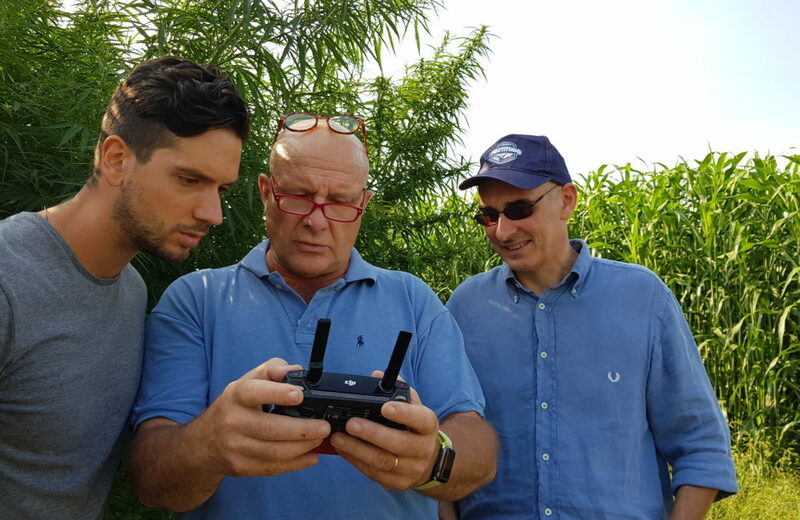 At the end of July we visited the Cadriano Farm of the University of Bologna (Italy), and we had a chance to admire the field trials of BECOOL from a drone perspective, appreciating the different colours and forms of the crop stands. 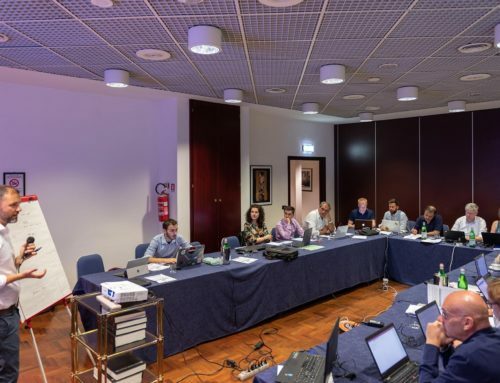 At Cadriano, BECOOL partners are conducting both rotational and intercropping trials of wheat and maize with different lignocellulosic crops for advanced biofuels. 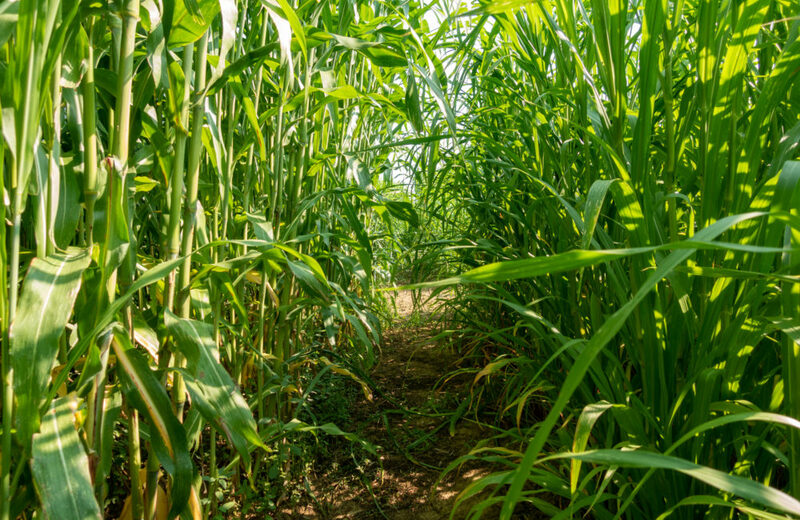 Perennial crops are also grown successfully next to the annual crops. 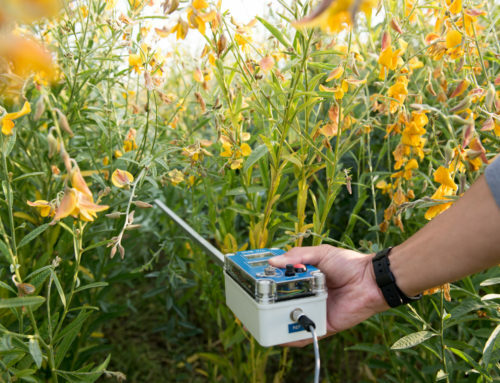 Rotational trials extend over an area of one hectare. As for last year, Sunn hemp is grown as a summer crop and it is performing quite well. 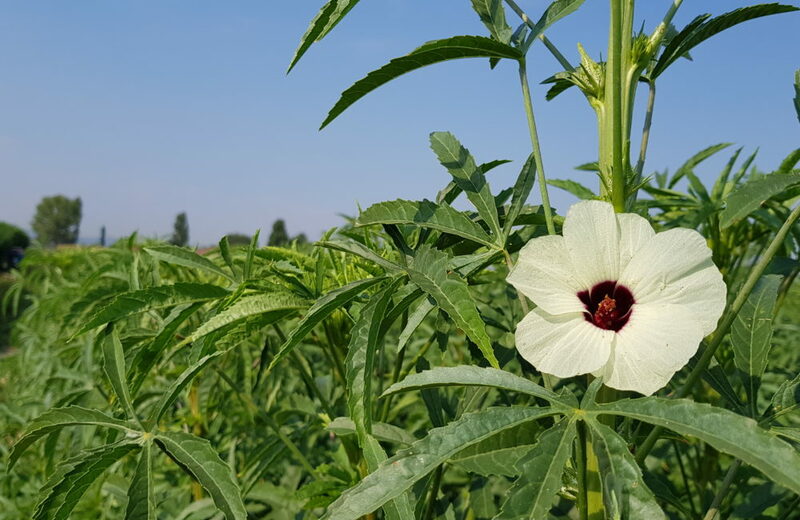 We saw a plot sown in late June after wheat harvesting, which showed good emergence and homogeneous growth of the plantlets, while in an adjacent plot, Sunn hemp sown in May on fallow land was already almost 2 meters high, and no irrigation was needed yet by that time. 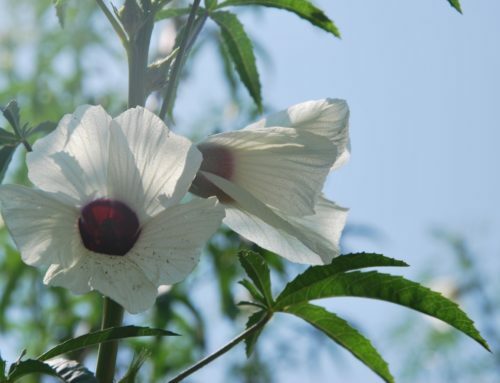 This year, kenaf, hemp, and fiber sorghum are also cultivated, in different rotational schemes with maize, wheat and fallow land. Intercropping trials are conducted on a smaller area, around 3,000 sqm. Last year half of the plots in this field was cultivated with Sunn hemp and the other half with sorghum , whereas this year the intercropping of both crops, and pearl millet in addition, is being conducted. 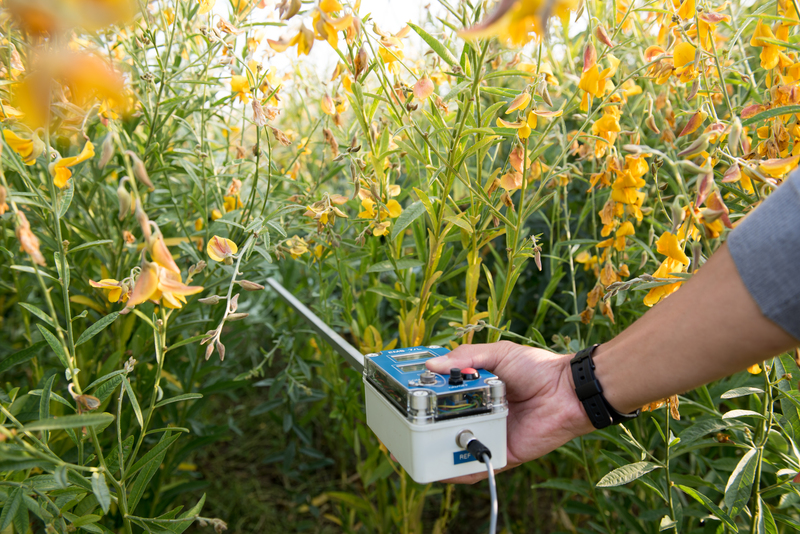 The trial aims at measuring the effects of the legume crop on the growth of the cereals. 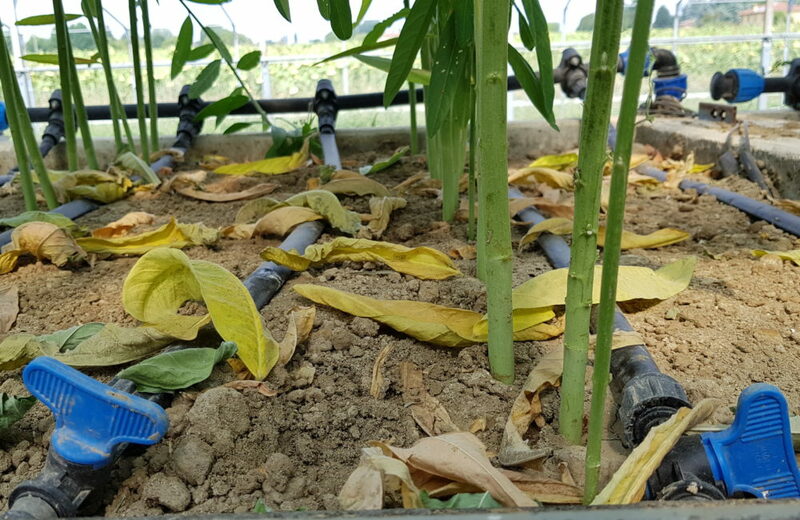 Intecropping trials with the same crops are also conducted in controlled environment, with the plants grown on nutrient and water stress in special lysimeters, which allow to monitor the development of roots and the nutrient uptake of the plants. 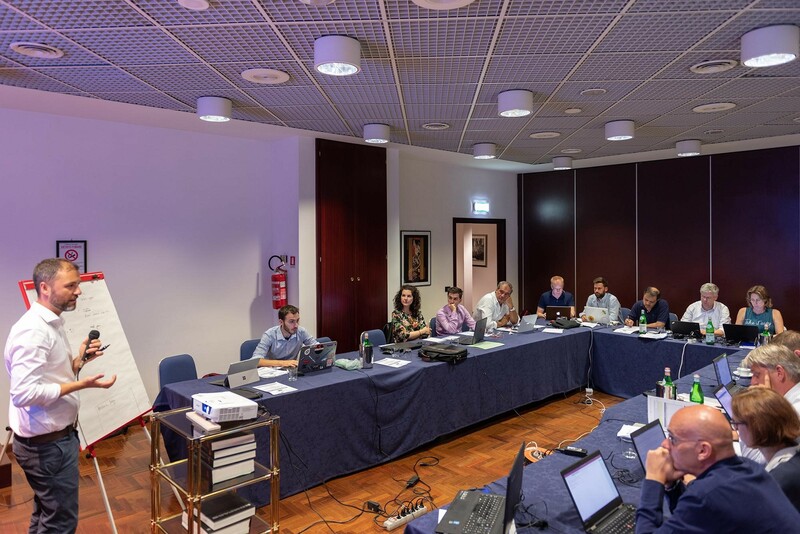 In this way, it will be possible to assess the optimal conditions for water and nutrients uptake by the roots as well as the physiological and biometric parameters related to water stress and nitrogen stress. Furthermore, it will be possible to understand if Sunn hemp is able to supply the nitrogen needed by the sorghum. 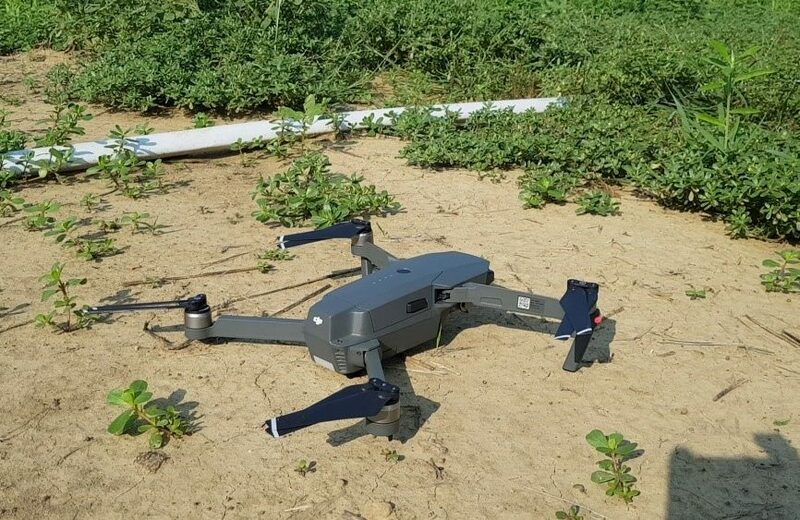 By the middle of October all the crops will be harvested, and we will be able to get the results of the trials by this winter, so stay tuned for more updates from the fields and enjoy the beauty of these crops in this aerial footage. Last settings before the drone takes off. 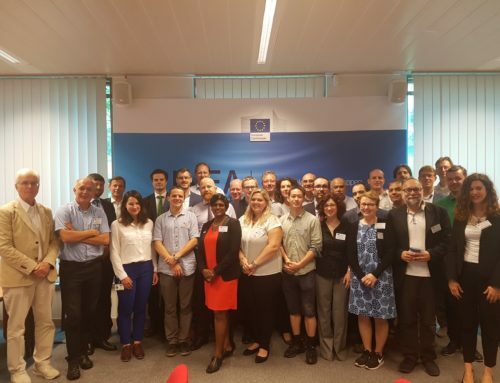 The drone ready for take off. 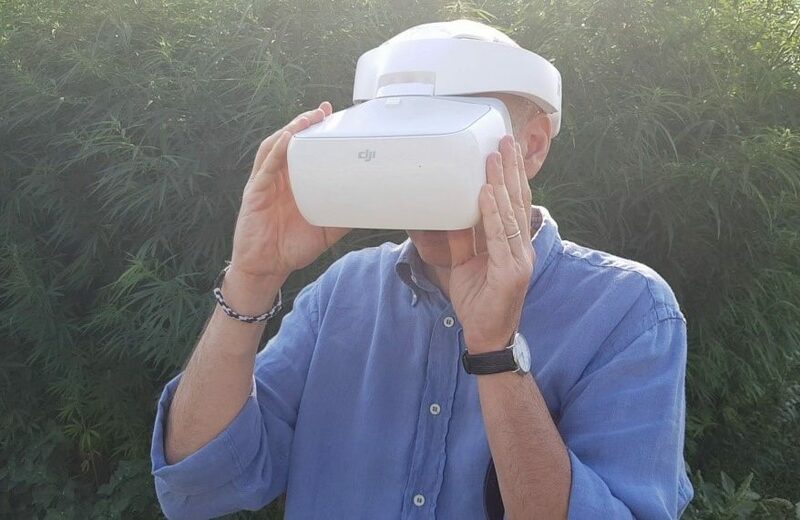 Andrea Monti watching the live aerial view from the drone with the 3D glasses. 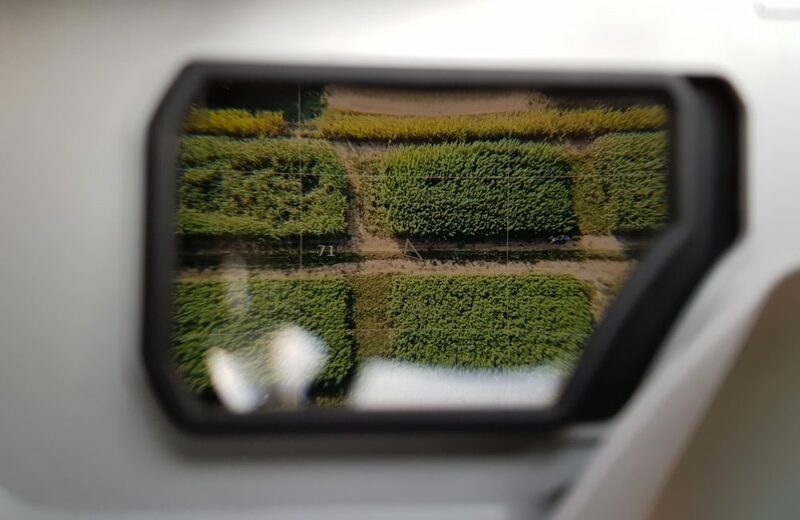 Aerial view from the drone perspective as seen through the 3D glasses connected to it. Rotational trials at Cadriano farm on 28 July 2018. 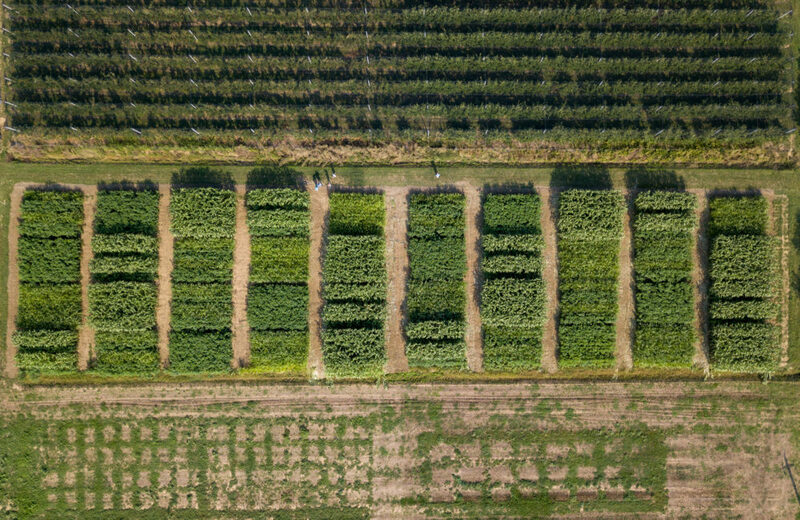 Sunn hemp shows different growths: some plots are constituted of plants of around 30 days, sown in late June after wheat harvesting, while others were sown in May and are already well developed. 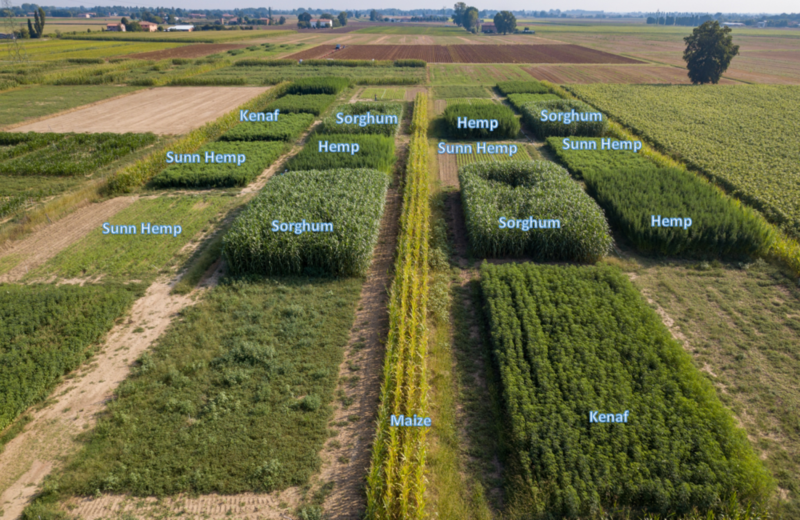 Kenaf, fiber sorghum and hemp are also grown as lignocellulosic crops, in rotation with maize and wheat. 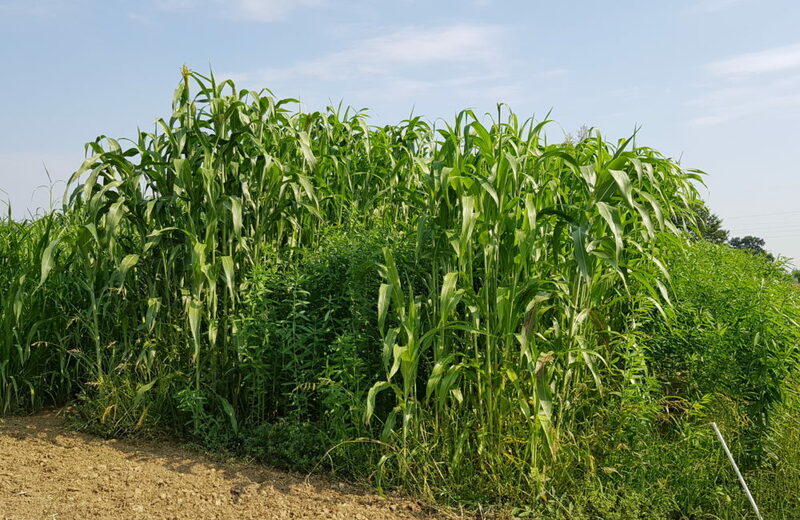 Intercropping trials at Cadriano farm on 28 July 2018: different plots of Sunn hemp, fiber sorghum and pearl millet showing diversity in height and growth. Vision from the ground: Sunn hemp stands growing next to fiber sorghums in the intercropping trials. Walking through the field: fiber sorghum and pearl millet in intercropping trials. 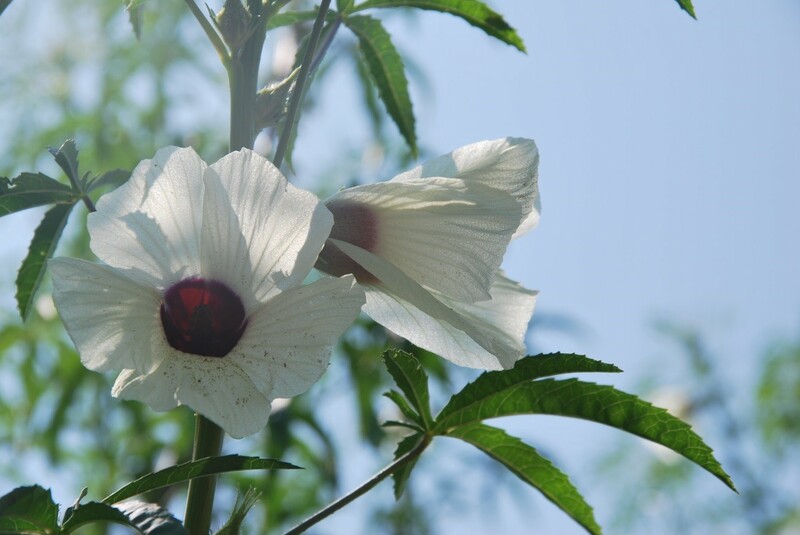 One of the first flowers in this plot of kenaf. 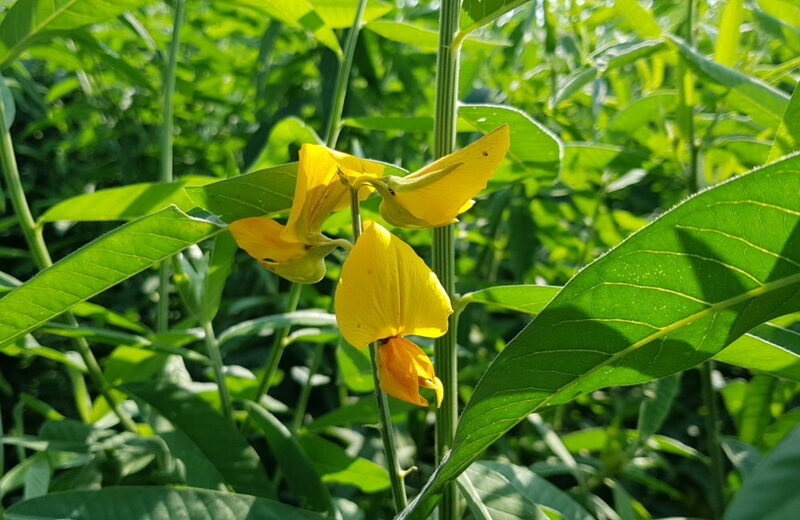 And the first flowers of Sunn hemp. 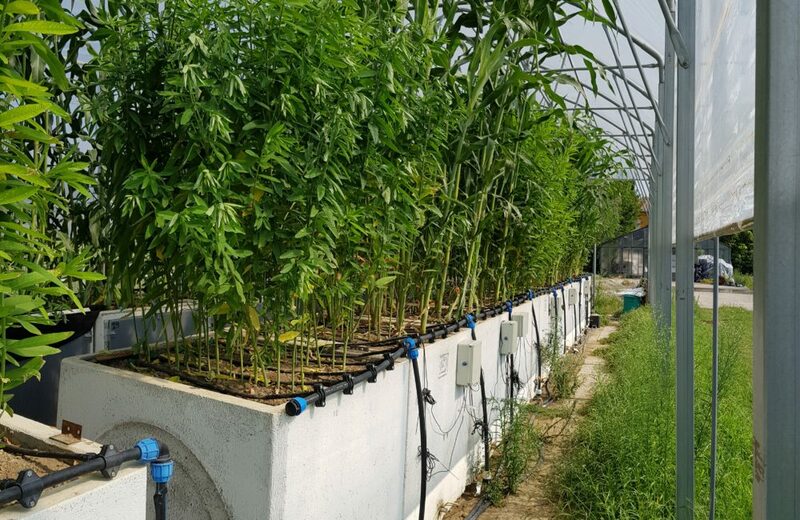 The intecropping trials in controlled environment: the plants of Sunn hemp and sorghum are grown in lysimeter tanks measuring water and nutrient uptake and root development. 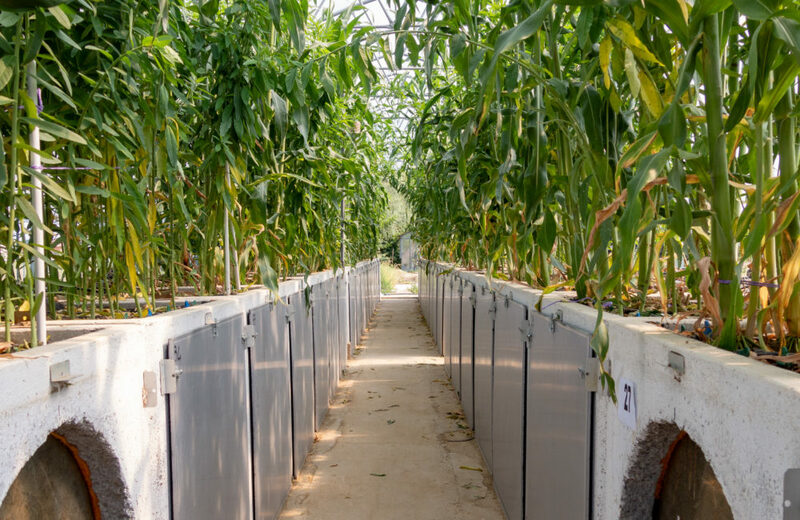 The tanks are equipped with drip-irrigation systems to control water stress parameters. 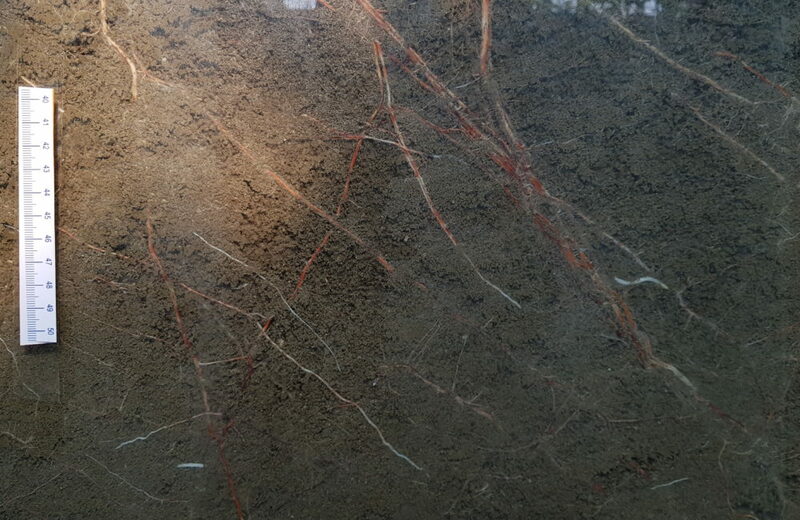 The opening on both sides is to control the state of the roots and the condition of the soil. 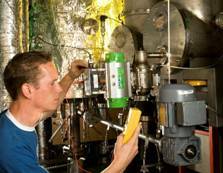 Photographs are taken and tests are periodically conducted to measure the extent of changes. Root growth is observed through round windows in the lysimetre tanks.